Carol's passion and special love for painting has been a driving and inspirational force in her life for over a decade and a half. 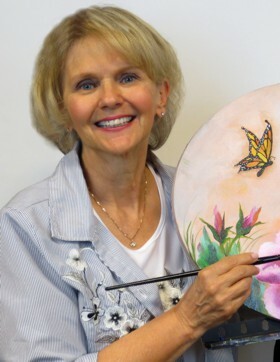 Always a fun-loving and energetic artist and teacher, her main goal has always been to share her joy and passion for art to her students and those around her. "Success is not measured by what WE accomplish, but by what we inspire others to do" is one of her favorite quotes. A self taught artist, Carol has worked her way from a Level 1 OSCI (One Stroke Certified Instructor) to a Master Director. After more than eight years of operating her own successful teaching studio in Canada, with a student base of 50+ students, she relocated to the sunny, red rock country of Southern Utah in 2013. She now teaches at Southwind Studio near St. George, Utah. Acrylic, wOil, Fabric painting, Glass painting and MUD classes are all available. She has always looked to the future, and is eager to step ahead with new innovations to help share her talents with others. Since 2014, she has been offering Live Online Art and Mud Classes and OSCI teacher certifications live online . She teaches Margot Clark's Method of "Mud Art" with beautiful florals and texture. 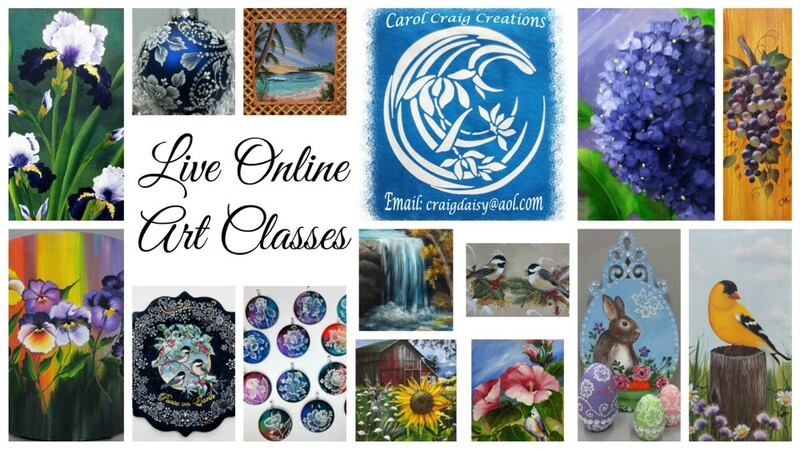 Carol does all types of painting (acrylic, fabric, glass, wOil) and welcomes students new to decorative painting or mudding to her for "one on one" (live, online) instruction in private lessons with her . This has been an incredible, new avenue of teaching, and has given her the opportunity to share her joy of painting with an expanded market throughout the world through interactive live classes. When not painting or teaching, Carol enjoys travel, including "Storm Chasing" (tornadoes), hiking, and crocheting. She is the mother of a son and daughter, Jerrod and Jana, and has three grandchildren, Kamon, 26, Gene' 21, and Ariyal 20.